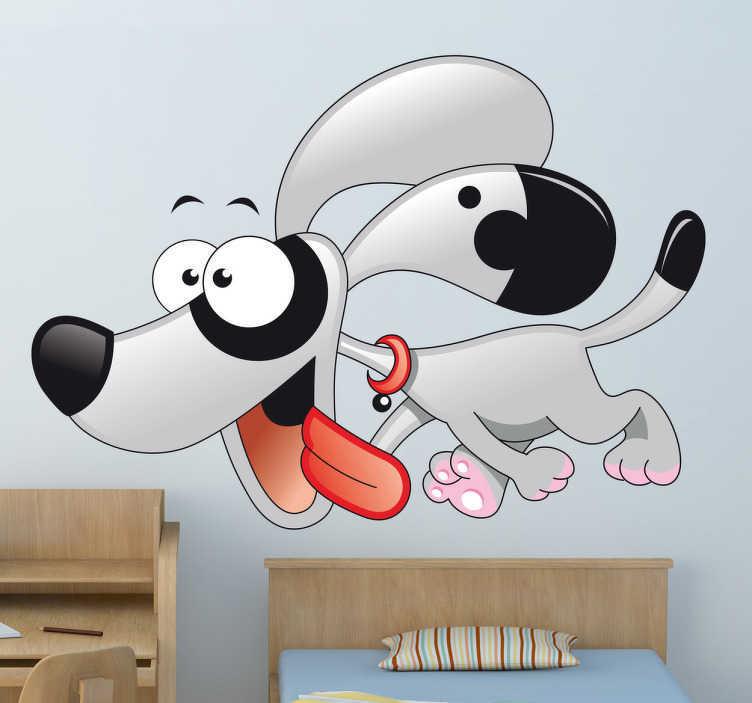 Children´s bedroom stickers - A dog wall sticker that your kids will love! Perfect for adding some decoration to a child´s bedroom. Our pet wall stickers always create a fun and joyful atmosphere for your children. They will enjoy spending more time in their bedroom with their furry friend on the wall! Our high quality stickers are made from anti-bubble material and are easy to apply. All of our stickers leave no residue on removal.